Recently, I had lunch with a pastor who had just planted a church in Portsmouth, New Hampshire, which is one of the most psychic, demonic small cities in the East. One of those demons greeted me at the restaurant and caused a woman to refuse to receive my personal gospel tract. I take it personally, no pun intended, when sinners don't receive my personal tract. Good gospel tracts are a gift of life-saving words. They are like a rescue boat in the dead of night sent to save its drowning victims. Receiving or not receiving God's words is the difference between life and death, heaven and hell. You think I'm being overdramatic about a piece of paper? God has chosen words to save. It is quite rare for anyone to refuse my personal tract since my approach is usually always genuine, unassuming, and non-sales-y. The tract is simply my testimony of my conversion. My method, after engaging someone in friendly conversation, is to just kindly ask him or her to read my story. With this particular woman, I hesitated to say the name of Jesus Christ at first as I normally do, sensing that she would not take the tract if I did. Instead, I told her the tract was my story of how God changed my life. But then sensing evil, I boldly spoke His name and boom ... the demon quivered and in a strange voice, this woman said, "I'm a medium!" as she adamantly refused the gospel tract. The pastor then blurted out, "Welcome to Portsmouth!" Ha! With the increase of spiritism, this sort of confrontation is becoming more common in America, particularly in the northeastern and northwestern parts of our nation. Have you ever been to Portland, Oregon? I've preached there a few times. There are bumper stickers everywhere that seem to proudly announce, "Keep Portland Weird." The two most unchurched regions in America are the Northeast, and right behind it, the Northwest. Let me speak to you of New England where I currently live. Honestly, I love this region where I was born and raised for the greater part of my childhood, and now have lived for the last 12 years, but I hate the humanistic devils and ideologies that have saturated this region. You've got to be spiritually tough to live here. Charles Finney once said that the Boston people are a proper people who take great pains to plain preaching. "Smug," "rugged" and "individualistic" are adjectives that some have used to describe New Englanders. But I've also found that they will give you the shirt off their backs once they trust you. One preacher told me that New England is a preachers' graveyard. Yet there is a remnant of preachers and church planters who have survived and even thrived in this region, and more keep coming to replace those who have left or quit. In a way, I'm jealous of my region, and my righteous blood boils when I witness what the devil has done here. After all, New England is the historic cradle of American Christianity, and as one article stated, just about every postcard-ready town here boasts a white church with a steeple. But sometime between the Second Great Awakening and today, the region evolved into the most secular part of the country. One study revealed pulpits that once boasted gospel preachers like Jonathan Edwards and George Whitefield now proclaim universalism, liberalism and postmodernism. One poll's findings indicated that the four least-churched states in America are in New England. Yet the many monuments and structures that have been erected here to commemorate past revivals and its early preachers and pioneers are plentiful and remind us of a brighter day in this region. After having lunch with the aforementioned Portsmouth pastor, he told me about a memorial that was erected in the honor of George Whitfield, the princely preacher, in the town of Exeter, New Hampshire, just a few exits from where we were in Portsmouth. I walked up and down the street of its location in the hot sun for well over an hour trying to find this memorial and finally succeeded. It's words have been worn down through the decades, but it says, "GEORGE WHITFIELD HERE PREACHED HIS LAST SERMON SEPTEMBER 29, 1770." Many such memorials can be found throughout this region. As another example, there's a plaque engraved into the wall of a building in downtown Boston that honors American evangelist D.L. Moody. There are statues and monuments in other parts of Boston and New England that honors the early pioneers and even martyrs of the faith. But enough of memorializing the past and what God did in centuries past. The question is: Can these former wells of revival be re-dug and renewed? Can these monuments of the past become movements again in our day? For evangelicals, revival seems too much like a distant memory and the present spiritual climate still looks so bleak. One researcher found that of the five U.S. metro areas with the lowest percentage of evangelicals, New England cities are beat only by Mormon-dominated Provo, Utah. Also, New England is relatively wealthy and educated, and overall, its population is shrinking and aging. That's why some Christians see New England as "hard soil"—and desperate for re-evangelizing. 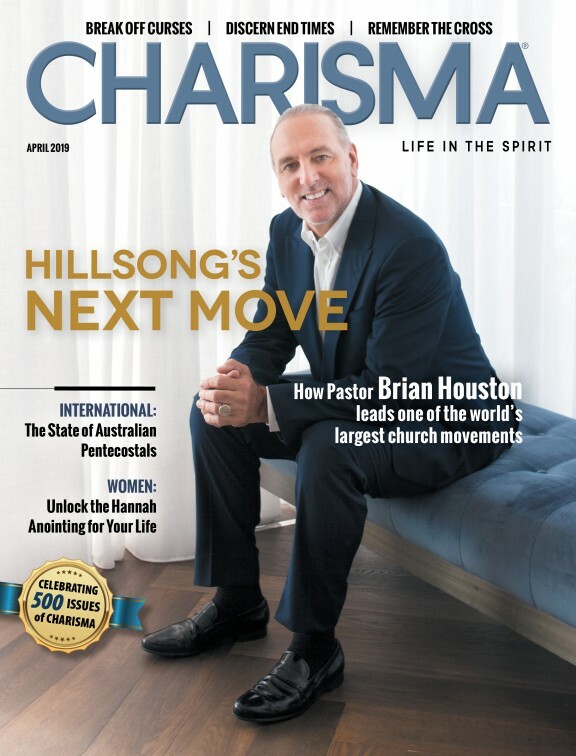 However, I've witnessed a palpable sense of momentum growing among evangelicals and Pentecostals/charismatics in New England in recent times, who say this hard soil may soon bear more fruit thanks to the heartfelt prayers of the righteous, the growing efforts of individual leaders and churches willing to lay aside their differences and work together, and an intangible sense of spiritual hope and energy that I attribute to the workings of the Holy Spirit. I'm a firm believer that many in this most proud and profoundly secular region of America will smash their idols, fall to their knees, and submit to King Jesus once revival breaks forth in sustainable strength. On Oct. 28, there will be a large regional prayer event unlike anything here in New England in recent years. Believers from nearly every denominational background will be coming together in unity to seek God and pray for our region and nation. These types of gatherings that are happening in other parts of the country are a sign to me of spiritual hunger and even desperation, and a sense of both judgment and revival that is coming to our nation and region. I hope you can attend this event. Check out the details and the website here. Save the date. Please share this article with others and spread the word.